The study visit has been partly financed by the Royal Danish Embassy in Cairo under the PSD Programme with the purpose of establishing a business collaboration between LarEll , Denmark and Modern Structures & Equipment Co, Egypt in order to fulfil a project on establishing a modern fish processing plant and sustainable fishery. Upgrade the existing processing facility to EU standard. All the activities to be environmental friendly and sustainable. The study visit took place from 21 � 26 September 2003 and included visits to MSE office in Cairo and the fish processing site in Abu Simbel . 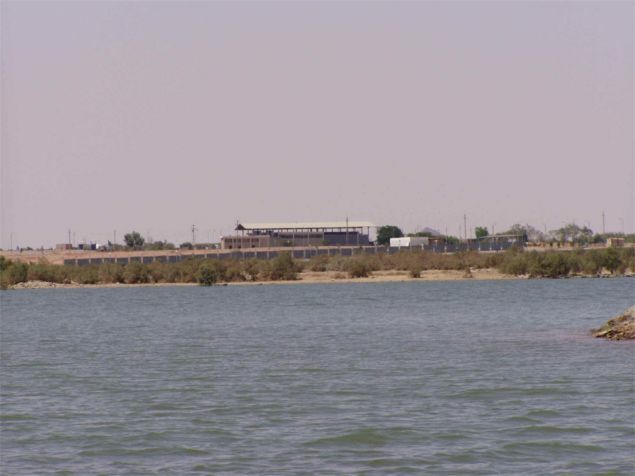 The harbour in Abu Simbel consists of a long inclined concrete pier with a roofed platform as the local fish auction. There were approx. 10 boats in the harbour when visited. Typical fishing boats are 7-10 meters long of which some are used for collection of catches from very small boats directly on the lake. The landing sites in Abu Simbel and in Aswan are the only two official landing sites at Lake Nasser in Egypt. 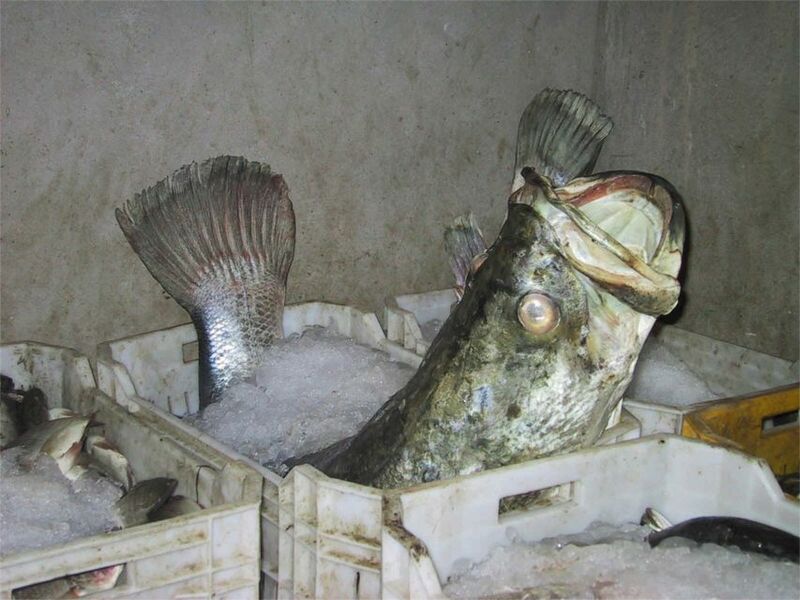 The fish landed in Abu Simbel is mainly transported to the market in Cairo by truck. 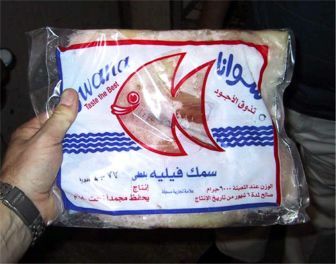 Some of the fish is send to Aswan before it is reloaded and send further on to Cairo . The distance from Abu Simbel to Aswan by road is approx. 250 km and the distance to Cairo is approx. 1300 km. The fish is transported in open or closed insulated trucks packed with ice. The transport time to Cairo by truck is 24 hours. A local fish trader has a small chill room and office in the outskirts of Abu Simbel . Here is the fish from many small fishermen collected. The fish is graded and iced before it is stored. Almost every day or when enough fish is collected to fill a large refrigerated truck a truck is loaded and sent to Cairo . 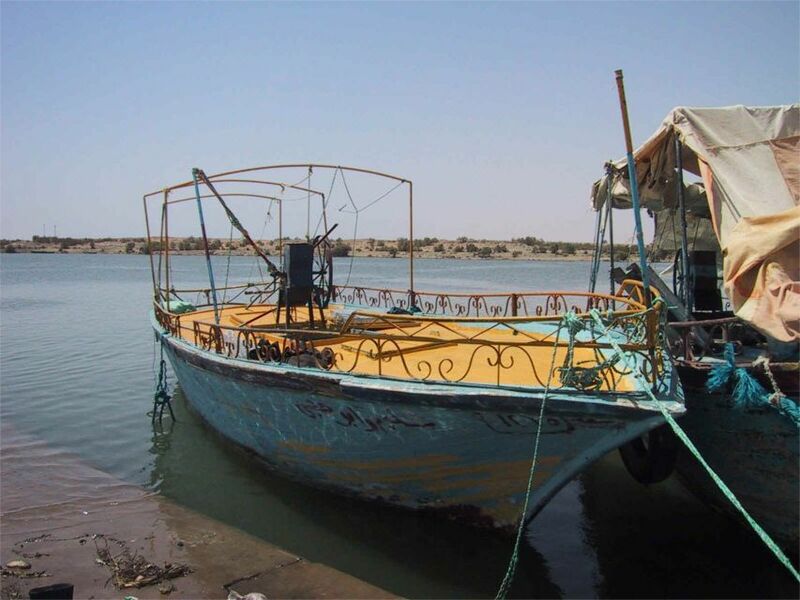 A trip on Lake Nasser with boat was fulfilled in order to get an impression of the lake and the fisheries. During the trip was some gill nets inspected to get an impression of the catches, but all nets were empty. Instead, a small fishing boat was visited on the lake and its catch inspected. It included several different fish species in different sizes of which the major part seemed to be too small for processing. Some Nile Perch and Nile Tilapia were cooked in different styles in order to taste and examine the eating quality. 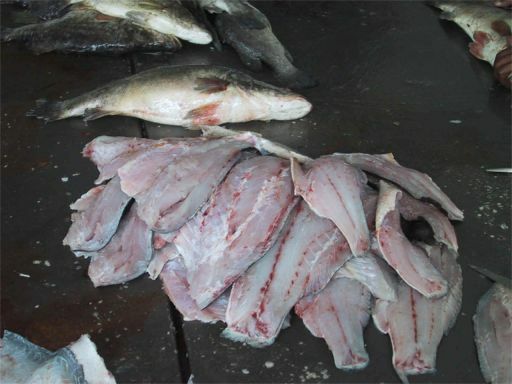 The impression was that the quality seems to be very good and acceptable for the EU market provided that the fish is filleted and cooked without skin. 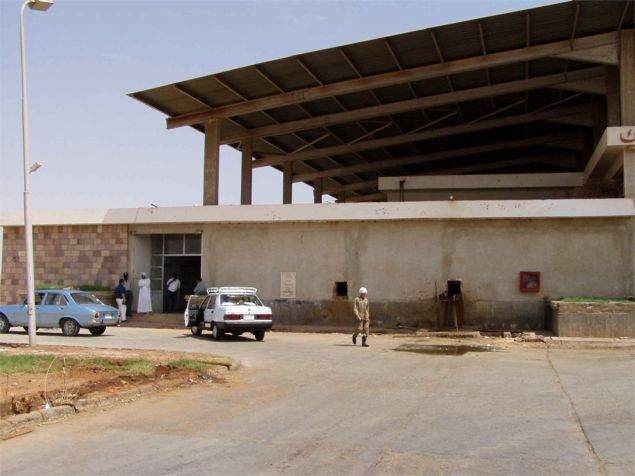 The State owned hatchery of Nile Tilapia in Abu Simbel established 3 years ago was visited. The hatchery is only producing fry from the Nile Tilapia (Tilapia Nilotica). The reason is the good eating quality of the fish and the extremely good growth ratio of 0,5 -1 kg per year. The hatchery consists of 120 basins of 200 m3 each and containing 200 fish. The maximum capacity of the basins is 400 fish up to 3 kg per fish. The yield is approx. 50%. Each basin can be supplied with air and fresh water. Each basin is normally supplied with 25 m3 of fresh water daily and air is supplied during night or when needed. The technical facilities consist of two water pumps for supply of fresh water and three air blowers. At the moment a further 120 additional basins are under construction for extending the capacity of the hatchery. There is no production at present or only very limited production. The block ice plant is in operation and is supplying all the ice for the fishing boats (if used) and for packing of fish for transport to Cairo. In addition the plant is provided with two flake ice machines with storage bins. 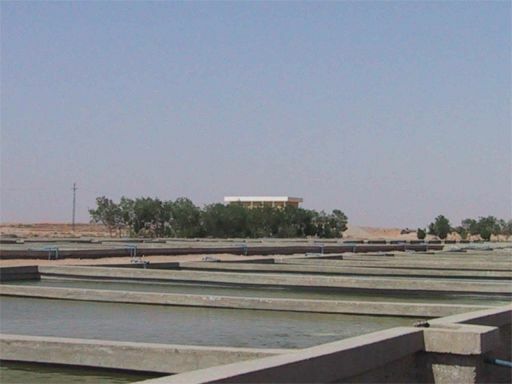 The plant has its own water treatment plant for the water pumped from Lake Nasser . The condition of the structure and the overall plan of the processing facility seem to be good. Pier and fish auction in Abu Simbel. 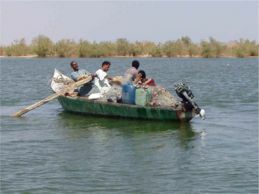 Small fishing boat on Lake Nasser. Loading of truck with fish and ice. Nile Perch in fish traders chill store. 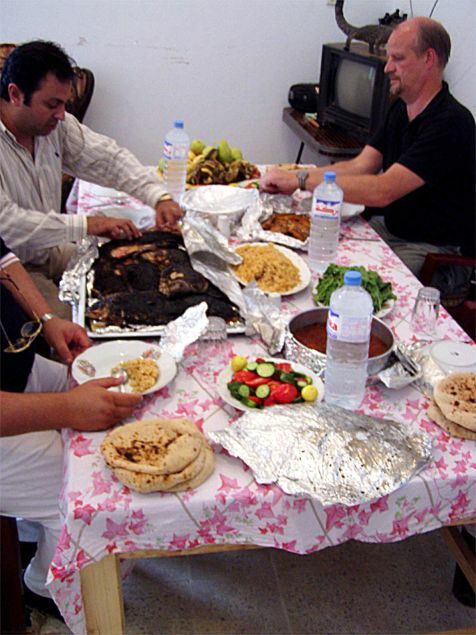 Tasting of cooked Lake Nasser fishes. 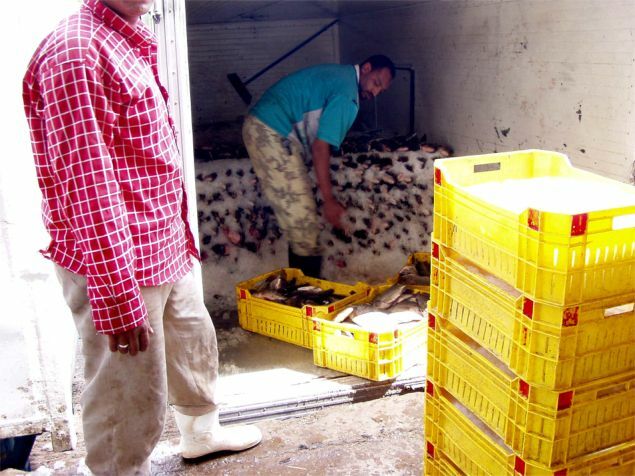 Hatchery in Abu Simbel. The basins. 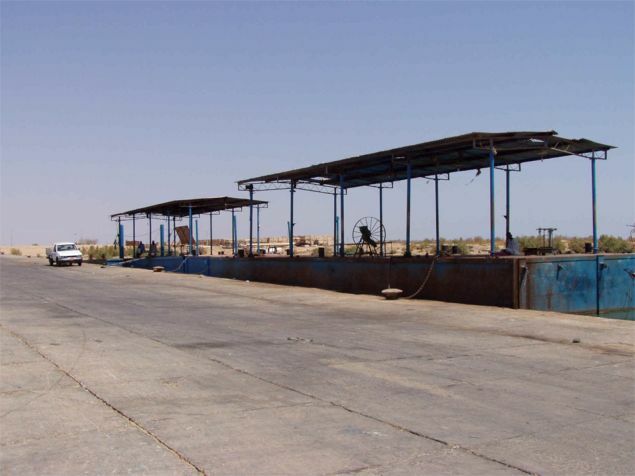 Processing plant in Abu Simbel.